Earn $13.49 in Rewards credit (1349 points) What's This? Ortlieb's Frame Pack keeps the weight of your gear centered in the main triangle so it's out of the way while also keeping your rig balanced for easy handling. Constructed from polyurethane-coated ripstop nylon with a waterproof zipper, you can be confident its contents will remain dry no matter how pounding the deluge. Heavy-duty Velcro straps are carbon-compatible so you don't have to be afraid of going on an extended journey with your race bike, and in fact, we recommend it. Available in multiple sizes. PVC free. IP67 waterproof rating. Made in Germany. use in europe. lots of rain it is waterproof !! I got this at a good deal. It is sold like all Ortlieb products. Make sure it fits your bike. It is huge. 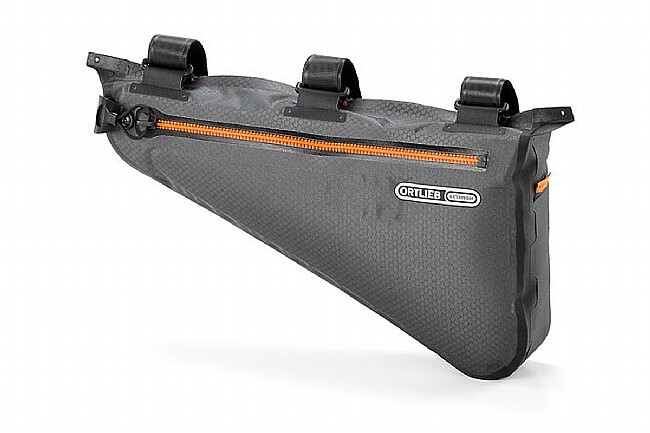 I was looking for a simple, waterproof frame bag for mountain bike adventuring. The first thing I noticed when I pulled the bag from the box, was the obvious high quality workmanship. I could feel the ruggedness of the bag as I held it in my hands. And its durability has proven itself on the trail, as I tend to be rough on my equipment. 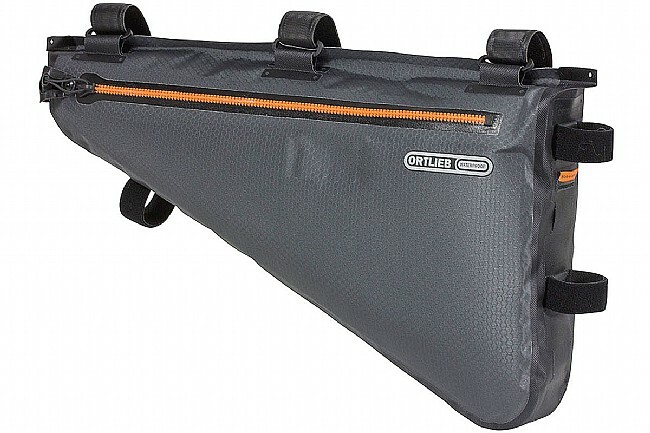 Ortleib makes all of its bags waterproof, but I had never used one before. The seemless RF welded bag lets nothing through. In fact, with the zipper closed tight, I can fill it with air and have a very hard time squeezing it out. 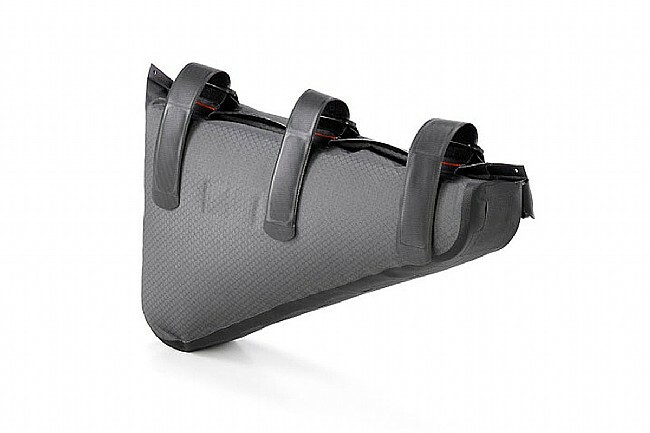 The bag includes several places to connect included hefty velcro straps, so there are numerous ways of attaching it to the frame the frame securely. The only possible drawback for some might be that there is only one large compartment inside, no hidden pockets or side storage areas. For me this is a plus. Simplicity means they can focus more on quality, and I know my goods are secure.